idea to App Store, with just the drag of a mouse. Creator makes building real mobile apps dead-simple. Visually build your app by dragging in pre-made mobile components into the device emulator. Preview and interact with your projects live on your devices. Share with colleagues and clients alike. Export a fully functional Ionic project, or even native IPA & APK files to install directly on your devices. The simplest app Creator around. Thousands of businesses across 150 countries use Creator to dramatically reduce the time and cost it takes to create fully functional hybrid mobile apps. 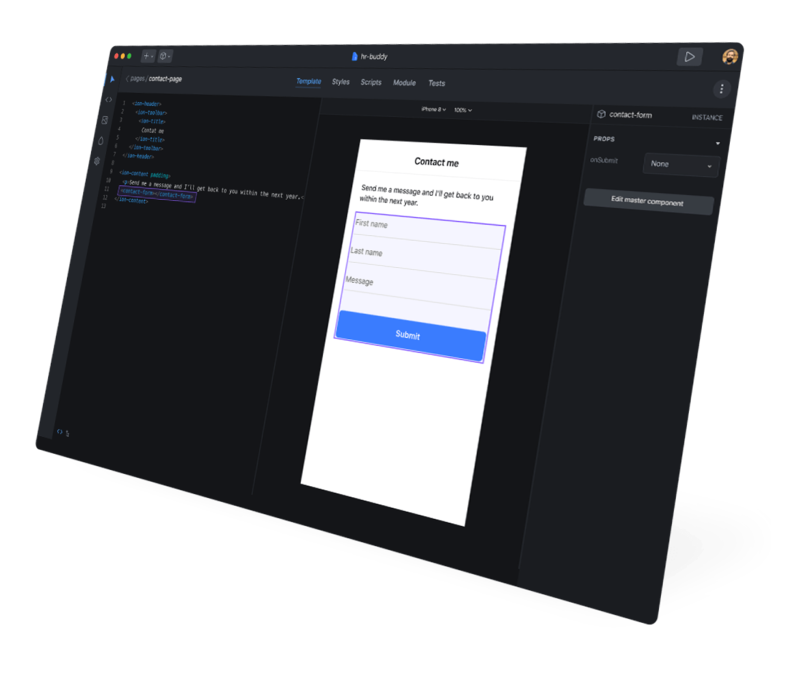 Go beyond prototyping: Add your own code, export clean, standards compliant Ionic projects, and even iOS and Android builds ready to submit to the App Stores. Click, move, and place premade mobile components onto your screen with our easy-to-use drag & drop technology. Your time is precious. Creator has your back. Spend more time on building a great app experience, and less time managing separate code bases and devices. Export cross-platform mobile apps that look, feel, and perform amazing across all modern phones and devices. Share projects. Collect feedback. Iterate. Repeat. Good projects deserve to be shared, to be criticized, and to be refined. Save and access them anywhere from your phone and share with team members, developers, and designers alike. Present your live previews to stakeholders and clients for easier testing and feedback. One-Click Addons enable you to include popular tools and services like Google Maps, Analytics and database solutions. Preview your projects live on your device. From anywhere. With the Creator App you can interact with your projects on real devices, at any time, from anywhere. Download the Creator App free today!